Astrid Jones desperately wants to confide in someone, but her mother's pushiness and her father's lack of interest tell her they're the last people she can trust. Instead, Astrid spends hours lying on the backyard picnic table watching airplanes fly overhead. 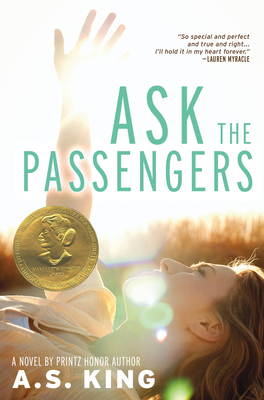 She doesn't know the passengers inside, but they're the only people who won't judge her when she asks them her most personal questions...like what it means that she's falling in love with a girl. As her secret relationship becomes more intense and her friends demand answers, Astrid has nowhere left to turn. She can't share the truth with anyone except the people she imagines flying over her at thirty thousand feet, and they don't even know she's there. But little does Astrid know just how much even the tiniest connection will affect these strangers' lives--and her own--for the better. * "Quite possibly the best teen novel featuring a girl questioning her sexuality written in years."